1. How did Sterling end up publishing this book? What attracted you to this particular title? I saw this book at the Hachette booth several years ago at the Bologna Book Fair. I was initially attracted by the beautiful and weird princess on the cover, then by the lush artwork in the book, and finally by the fact that the characters are all “alternative” princesses. The book is a work of art – and a refreshing new look at the world of princesses. 2. I understand the authors and illustrators are French and that the book had to be translated into English for this edition. Was it hard to do the translation? The translation and editing process was intense! Interestingly, our manager of foreign rights at Sterling, Toula Ballas, translated the book. Toula is one of those fabulous Europeans who put us all to shame by being fluent in a dozen languages. And, of course, she is extremely well-read and knows a great deal about children’s books. It was such fun to work with my brilliant colleague Toula in an entirely new capacity. She provided a “straight” translation with copious detailed notes about the French idioms and word play. It wasn’t until we had the entire book translated that Toula and I realized we would have to heavily rewrite many passages, as the French references simply didn’t translate to English. It was more like working with poetry in translation than with prose, and certainly the most challenging and rewarding editing job I’ve ever done. 3. I imagine that many of the princesses mentioned in the book would have to be renamed for the English edition. How were these names chosen? Almost all the princesses had to be renamed. The one I remember most was “Poisson D’Avril”, which means April Fish. Toula explained that the French version of April Fool’s Day – Poisson D’Avril – is when the French surreptitiously stick paper fish on people’s backs. I called a Parisian friend of mine who lives in New York and asked her what she did on April 1st, and she said, “Well, of course, I stick paper fish on people’s backs! Why?” I loved that she’d been doing this for years in the United States, entirely unaware that no one got the joke. We renamed this character “Princess Eelizabeth”, (we are not afraid of bad puns) and she became our underwater princess, sister of “Alba Core” and “Anne Chovy”. Even more fun, there were many princesses that had us stumped, so we posted their images in our editorial department, along with write-ups of their characteristics, and invited the Sterling staff to come and add their ideas for names. Our department was swamped! Our contracts manager, Brooke Barona, named the princess who couldn’t stop talking “Babbling Brooke”, which makes a lot of sense if you’ve ever met Brooke. And Josh Mrvos from our trade sales department named the princess who loves to read “Princess Paige.” Not coincidentally, Josh’s baby daughter is named Paige, and he did guarantee it would bring in sales from the Mrvos clan. It was truly a company-wide effort, which was extremely exciting. 4. The format for this book is very unique. Why did this appeal to you? It’s the kind of book you can dip in and out of for years, and you’ll always find something new. The large size and extent of the book make it feel even more like a mysterious tome brimming with secrets. 5.Young princess fans will be instantly attracted to this book. Why do you think adult fans will embrace it as well? My 40-year-old friends with kids in Park Slope are huge fans of this book! They read it with their daughters but the intricate word play and wry humor certainly appeals to adults. This is truly a multi-generational read. When I was growing up, I was given countless books full of fairy tales. I enjoyed the ones about dragons, monsters, ogres, witches, and wizards, but I really did not like the ones about princesses that much because the princesses in the stories were always so helpless and, to my mind, rather pathetic. These days there a quite a few books about princesses who are tough, brave, creative, and resourceful, and I am always on the lookout for princess stories with a twist. I was therefore delighted when the children's publicity manager at Sterling Books contacted me to tell me about Sterling's new princess book. Here is my review of the stunningly beautiful and very unique title. Many of you are experts on princesses. You have read about Cinderella, Snow White, Sleeping Beauty, and all those other princesses who fill fairy tale books. You know all about princess fashion sense, and you know that the best way to be sure that a girl is indeed a princess is to ask her sleep on a pile of mattresses that has a pea under the bottom one. 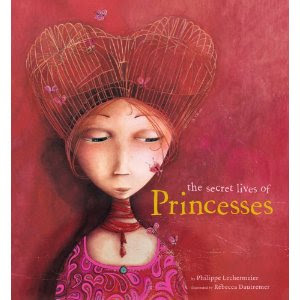 In short you are absolutely sure that you know all there is to know about princesses. Unfortunately, you are wrong. There are lots of princesses stories that you have never even heard of. There are essential princess facts that you don't know. Thankfully you can now read this book to fill the gaps in your princess knowledge. There are wonderful stories about princesses of all kinds throughout the book. Among many others, you will meet Princess Babbling Brooke, whose endless chatter drives everyone around her to distraction. Princes are scared off by her verbosity, and even her parents "avoid her." However, on the battlefield her volley of chatter is very useful. Not only does it drive away "even the oldest of enemies," but it also forces reluctant soldiers back onto the battlefield. For readers who are interested in all things princess, this book is a must. The presentation is truly delightful, and the whimsical and often beautiful illustrations are a joy to look at. Readers can dip into the book at random, and they are sure to find something of interest to suit every moment. You might like to visit the Secret Lives of Princesses website where there is more information about the book, a portrait gallery, and several games to play. For Poetry Friday I have a wonderful book for you. Readers of all ages will enjoy this title. Every so often, Barefoot Books comes out with a charming little animated movie based on one of their books. Here is their latest. You can visit the Barefoot Books website to purchase a copy of The Journey Home from Grandpa's, which comes with a music CD. Today is the first day of summer for us here in Oregon, and though it is not exactly hot, at least it isn't cold anymore. I have some great summer books on the TTLG website. 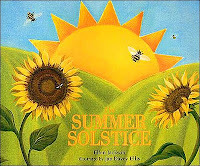 For children who are specifically interested in the summer solstice and what it is, there is this title to read. Enjoy. Because the sun is so important to life on earth it was greatly venerated by the ancient peoples who lived on this planet. 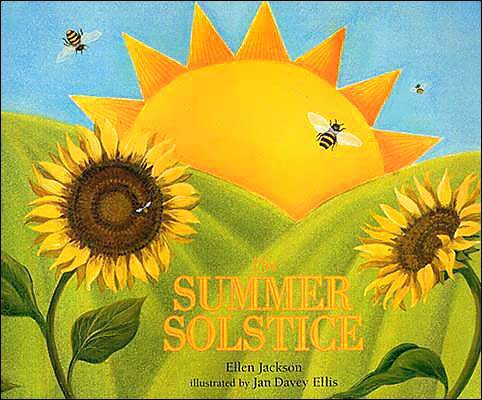 Often it was considered to be a god and thus on the day when the sun was at its highest point in the sky, the summer solstice, special rituals and celebrations were often held. Both in the Americas and in Europe circles of stone marked the passage of the sun in the sky and special spokes in the circles "pointed to the place where the sun rose on the summer solstice." In Europe and Great Britain people would roll burning wheels down a hill to symbolize the blazing sun sinking in the sky. There would be great feasting, dancing, and merrymaking and people would get dressed up in outlandish costumes. Today remnants of these old traditions can still be found in some countries in Europe. In Ireland, Wales and Cornwall people still light bonfires on hill tops on Midsummer Eve and in Sweden tall poles are decorated with leaves, colored streamers and flags and placed in a central place. People then dance around the pole in celebration of the longest day of the year. My latest book, Busing Brewster (Knopf, 2010) has just been published! I hope you'll consider ordering a copy from your local bookseller, or online. Autographed copies are available at the gallery or on our website. BREWSTER IS EXCITED about starting first grade... until Mama announces that he'll be attending Central-a school in the white part of town. Mama says they have art and music and a library bursting with books, but Brewster isn't so sure he'll fit in. Being black at a white school isn't easy, and Brewster winds up spending his first day in detention in the library. There he meets a very special person: Miss O'Grady. The librarian sees into Brewster's heart and gives him not only the gift of books but also the gift of confidence in himself. This powerful and tender story of desegregation busing in the 1970s introduces readers to the brave young heroes who helped to build a new world. "Rich Michelson, has succeeded, again, in writing an engaging picture book about tough race relations with great sympathy and interest." ALSO Congratulations to Barbara Krasner and her wonderful new Jewish KidLit book review blog. I thank Barbara for making me the inaugural author interview. Click here to read the interview. Thanks to Kate Narita for featuring Across the Alley as last month's Classroom Book of the Week. Finally, check out this interview on the Roddenberry site about my book, Too Young for Yiddish and collaboration with Leonard Nimoy on the audio version of the book. For updates on speaking engagements, I encourage you to check my website and friend me on Facebook. Richard Michelson is a poet and children's book author. He has lectured, and read from his works in India, Eastern Europe, and throughout the United States. He represented the United States at the Bratislava Biennial of Children's Books and has written for the New York Times Book Review, Publishers Weekly, and other publications. He is the Curator of Exhibitions at The National Yiddish Book Center and owns R. Michelson Galleries in Northampton, Massachusetts. 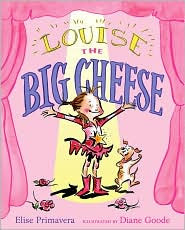 Recently I read and reviewed a delightful book by Elise Primavera called Louise and the big cheese. This is the perfect book to share with that child who dreams of being a "big cheese" in the future. Here is my review of this title. Louise Cheese lives in a “modest” house with her sister and her mother and father. Her parents are quiet people ho do not “like the limelight or a lot of fuss.” Louise is quiet the opposite. She wishes her parents were more glamorous, and more than anything she wishes she was “a big cheese.” She wishes she could have a room like the one her sister Penelope has. When will she be able to have lipsticks that are called “Ruby Melt” and “Divine Diva?” When will she be able to walk “down a red carpet,” and “become a big star?” Somehow, Louise has to dream big and become the “big cheese” that she is at heart. Then one day Louise’s teacher at school announces that the school play this year is going to be Cinderella. What could be more perfect? Louise will get the part of Cinderella, of course, and then she will be on her way to Broadway in no time. However, things do not, for some inexplicable reason, work out as planned, and poor Louise’s plans are derailed. With lashings of humor and delightfully charismatic illustrations, this delightful picture book looks at the nature of dreams. Sometimes, despite our hopes and all our hard work, they simply don’t quite come true, and sometimes this is not as bad an outcome as it seems at first. I so enjoyed the book Once Upon a Baby Brother that I decided to post a Q and A with the author and the illustrator. 1. How did you get the idea for Once Upon a Baby Brother? As often happens, the first few lines came into my head. I heard the voice of a young girl telling her stories. It soon became clear that she had certain issues with her younger brother Marvin. Sadly, the entire story did not come so easily. Once I had the beginning, it took a lot of plain, old-fashioned work to find my way to the end. 2. Once the idea came to you, what happened next? Did you jot it down right away? Let it simmer? I took down those first few lines right away. Then I jotted down various lines that might fit somewhere, not necessarily in the order in which I was writing them down. I knew that Lizzie would make Marvin the villain in her stories. And I always knew it would be a funny story But, I had trouble with the dramatic structure, (a common problem for me), until Melanie Kroupa expressed interest in the manuscript. 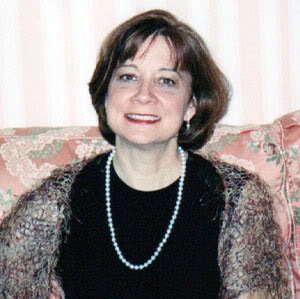 With her expert and inspired guidance, the story started to develop the dramatic arc it needed. 3. What did you find the most challenging about writing this book? The most rewarding? The most challenging part of writing this story . . . hmm. There were two major challenges. The first challenge was figuring out how to integrate the home story with the school story in the space of a 32-page picture book. The second challenge was figuring out how to succinctly tell the story of turning Marvin into a comic book hero. My editor and Tricia Tusa had A LOT to do with making that work! Creating a picture book is truly a collaborative enterprise! 4. How did the illustrations come about? People are often surprised to learn that writers do not select their own illustrators – ( at least, not usually). Once Melanie and I finalized the text, she began looking for an illustrator. 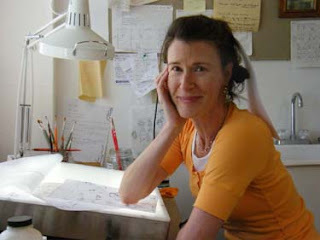 As you might imagine, I was THRILLED when she mentioned Tricia Tusa's name and was DOING BACK FLIPS when Tricia agreed to illustrate the book. As time passed and I had the opportunity to see sketches and then, proofs with color art, the joy and excitement continued to grow. 5. You have written two other picture books, Dear Baby: Letters from Your Big Brother, and Root Beer and Banana. How does your writing process compare from book to book? That's a good question. The process has actually been quite different from one book to the next. I wrote the first draft of Dear Baby long before I started writing Root Beer and Banana. Dear Baby came about because my then 7-year-old son was talking about how well (or sometimes, not so well) two of his friends got along with their little sisters. I wondered how my own son would get along with a younger brother or sister if he had one. I also thought about the way my older brother used to complain about how much I used to bother him when I was little. Add to that the fact that I had just finished reading Lee Smith's epistolary novel, Fair and Tender Ladies, which meant that I was thinking about ways to tell stories through letters. All of these thoughts swirled around in my head and the first draft of Dear Baby was the result. Root Beer and Banana, on the other hand, came directly out of a picture book workshop led by George Ella Lyon. She guided us through a writing exercise in which she directed us to focus on the details of a particularly vivid memory and then write a poem about it. I remembered a summer spent with my grandparents in a small town on the Rappahannock River in Virginia. I wrote a poem about going with my grandfather to buy a popsicle at a mom-and-pop grocery called Mister Mac's. I put the poem away for a while, as George Ella suggested that we do. Some time later, I was sitting up late reading one night when the voice of a young girl came into my head. "My name's Miracle," the girl said, "on account of the doctor said Mama couldn't have any more after my brothers, but I came anyway." I have no idea why this young girl appeared out of thin air one night – but she did and I knew instinctively that she belonged in the world of my poem. When I added Miracle to what I had already written, the story began to take shape immediately. I guess I have a little bit in common with my main character in that, like Lizzie, I have always loved to tell stories. The writing fever really took hold once I learned to read in first grade. I started reading everything! Books, magazines, comics in newspapers, cereal boxes, the courtesy light sign on the dashboard of my grandfather's Oldsmobile – everything! And I started writing stories too. My first story was about a dead bird I found lying in the grass in our yard. I know that sounds a bit morbid, but the bird was so lovely. It was a cardinal and it made me sad to see it lying there so still. I had to write about it. I suppose, then, like now, a lot of my motivation for writing came from a need to try and understand why things happen the way they do. Later on, my best friend, Nelle, and I had a secret club in a room in the basement of her house in Colorado. We collected Sugar and Spike comic books and wrote comic books with our own characters. Wait a minute -- This is starting to sound familiar . . . I still have trouble calling myself a writer, even though I write every day. But, I have come to understand that, no matter what I call myself, I will always write. I will always tell stories. It's a need. I'm unhappy if I don't write. 7. What is the best piece of writing advice you have ever received? 8. What advice do you have for young writers—especially those with little brothers ;-)? There is no better training for a writer than to read. Read all the time. Read all different kinds of things. And then follow your passion and, as one of my writing teachers, Jane Resh Thomas, advises her students, write what moves you. Write about things that you care passionately about. 9. When you aren’t writing, what are some of your favorite things to do? Long walks, reading, canoeing, theater (both from the audience and backstage), and travel. 10. Do you have a muse like the main character in your book does? Hmm. A muse? Not really, although my husband has suggested it's a little odd that I've written two books involving sibling rivalry. I am inspired by the work of other writers. My list of favorites is long and changes constantly. Some of the people whose work I find particularly inspiring are Eudora Welty, Sharon Creech and Kate DiCamillo. I love certain works like The Great Gatsby and the opening pages of My Antonía. Lately, I've been completely knocked out by Colm Toibín and Column McCann. And I go back to some of John Cheever's stories with regularity. But, ask me tomorrow and I will probably give you a completely different list. 1. When did you begin to think of yourself as an artist? I have never hadn't thought of myself as an artist and, yet, have never really thought of myself as an artist. I just know that, from the beginning, I have always loved making things with my hands. I love the feeling of going deep within myself in search of what it is I want to draw or paint or sculpt. It requires a lot of courage because, quite often, there are no lights on down there. I feel my way in the dark with no guidebook. Very fun way to feel very alive. 2. What type of media do you like working with the most? I really like to experiment with all kinds of media. I first get a sense of the story and then try to match up a medium that seems to match up with what I feel the story needs. But, I do love drawing with pencil or my pen and ink. I like watercolor and, then, sometimes I hate it. I often work with acrylic when doing paintings just for myself. I like printmaking and egg tempera and oil, too. I love making 3-d things out of clay and firing them in my little kiln. I also indulge in Paper mache. 3. 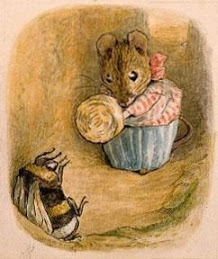 How did you break into the children's book illustrating profession? I moved to New York City at age 21 and got out the phone book and called quite a few publishing companies. I asked to speak to art directors. I made appointments with them to show my very homemade portfolio of about 15 drawings and paintings. I received very nice feedback, and, not so very nice from a few. Holiday House offered me my first contract. They are still such a lovely, warm and welcoming company and I am so grateful to them. 4. Did you collaborate with the author as you did the illustrations? I never have collaborated with an author on a story. And, quite often, have never corresponded even after the book is done. Strange, but true. I really want to find my own interpretation of the words through my own imagination. I can be distracted easily by outside input. It removes me from myself and I find it hard to get back. For this reason I really appreciate how editors and art directors have an understanding of this as an important part of the process, and seem to know to keep out of the way, as well. However, I will say that after ONCE UPON A BABY BROTHER was complete, I got to know the author, Sarah Sullivan, via email. That has been a lot of fun for me. 5. How long did it take to illustrate ONCE UPON A BABY BROTHER? It took me about a month to complete the dummy. The final art took about 3 or 4 months to do. 6. What is the most challenging part of your job? The most rewarding? The most challenging part of making books is really between your ears. It requires much alone time so that you can hear and connect with your heart and mind. So, therefore, you spend much time having conversations with yourself wondering if you are doing your absolute best. Is it as good as it can be? How can you take it further? It can feel like torture, sometimes. This is why I really try to integrate my days with some balance. I go on long walks, swim laps, do yoga and think about other things. The most rewarding part is DECIDING you have done the best you can ... and knowing that there are more books out there to make. 7. Are any of the characters or the setting modeled on real-life people and places? Friends and loved ones often show up in my characters' faces. I love my husband's face - so full of character and kindness. He appears in many books, just as my beautiful daughter does at all her various ages. The kitchens I draw are usually kitchens I have lived in. And the nature is most likely what I look at from my windows. 8. Pablo Picasso once said, "All children are artists. The problem is how to remain an artist once he grows up." Do you agree? I do think we all come into this world as artists, in one form or another. I believe we enter this world wanting to find a way to express what is within. It seems that when well-meaning adults get in the way and impose themselves, their ideas, expectations, judgments onto a child's process, it can hinder this natural process of self-discovery and self-expression. 9. Do you have a muse—baby brother or otherwise? My muse is my childhood memories, remembering every age I have ever been and how it felt. Daydreaming allows for my muse to feel heard. I am affected creatively by the love I feel for (and by) my husband and dear daughter. In my spare time, I take long walks, take yoga classes, and swim. I spend a lot of time in my studio doing art with my daughter. I sew and I love to read. I love to daydream. I watch the sky and trees. Last week I read a charming picture book that successfully looks at not one but at two themes. Sarah Sullivan looks at what it is like to have a new sibling in the house, and she explores the nature of artistic inspiration. Young writers in particular will enjoy this book, as the author shows us that material for stories can be found right under our noses, if we open our minds to the possibility. More than almost anything else in the world Lizzie likes to tell stories. She tells her mother and her father stories, and even Big George the dog gets to hear Lizzie’s tales – and he likes them too. Then one day baby Marvin arrives on the scene and Lizzie discovers that little brothers are not conducive to storytelling. Her parents are too busy to hear her stories now, and Big George is the only person at home who has time for her. Thankfully Lizzie’s new teacher, Miss Pennyroyal, loves stories too and she encourages her students to write and then share their stories. With her trusty Princess Merriweather pencil in hand and her Imagination Notebook to write in, Lizzie happily spins her yarns. Then the unthinkable happens. Lizzie is given a great writing assignment to do and she cannot come up with a single idea. Her head is empty and nothing, not even her Princess Merriweather pencil and her Imagination Notebook are able to get the creative juices flowing. Will Lizzie be faced with this terrible writer’s block forever? This delightful book not only looks at the problems associate with having a new little sibling in the house, but it also looks at the nature of inspiration. Sometimes inspiration can come from the most unlikely of places. With delightful illustrations and a deliciously creative text, this picture book is sure to be a big hit with readers who have a fondness for tales and storytelling. For Poetry Friday I have a review of Come to the Great World: Poems from Around the Globe. This is a very special collection of poems that readers of all ages will enjoy. Children and young people love to celebrate school graduations. Even children who are leaving kindergarten and who are going into “big kid” school like to have some kind of celebration to mark their elevation to ‘big kid’ status. In this wonderful kit, the themes and art from Dr. Seuss’ book Oh the Places You’ll go, are used to create a wonderful gift for school and college graduates. Included in the kit is a keepsake box, a graduation journal, a graduation banner, a diploma, stickers, a doorhanger, magnets, a magnetic photograph frame, a jigsaw puzzle, and a bookmark. This kit would make a wonderful gift for a graduate of practically any age. And for those of you who haven't yet read Oh the places you'll go, here is a review of this splendid book. It is your special day and you are about to embark on a new adventure. “You have brains in your head. You have feet in your shoes,” and you can go anywhere you want to go. Of course, you may need a little time to figure out where you want to go. There will be times when you will have to decide “I don’t choose to go there,” in which case you may have to head into the unknown. It might be a little scary, but it will also be exciting. You’ll see “great sights” and “soar to high heights,” and have all kinds of adventures. 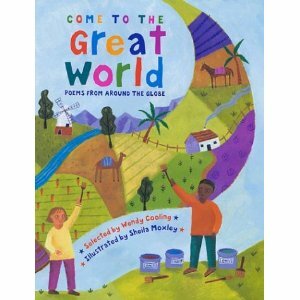 This inspirational and motivational picture book is perfect for anyone who is embarking on a new adventure. High school graduates, college graduates, and university graduates will all be encouraged and uplifted by Dr. Seuss’s words and his wonderfully quirky art. What is special about this book is that Dr. Seuss does not pretend that the future will always be rosy and perfect. He is honest about what the future might hold, and he offers encouragement and advice for those moments when life, that “Great Balancing Act,” is complicated. Finally, for those of you who like pop-up books, there is also an Oh the places you go Pop-up! For this title there are both single page and full double page pop-ups that are not only beautifully crafted, but that also (on some pages) have tabs to pull. Earth Calendar - Holidays from around the world.